Beautify your eyes with the Rock Nudes Eyeshadow Palette that has 12 shades to enhance your beauty. Make heads turn by applying the shade that suits your skin tone or any particular occasion. The 12 shades are super blendable and provide amazing textures to extend your beauty further. Get a rock n roll edge with the heavy metal colors that take your looks to the next level. With 12 shades to choose from you can get a matte or a shimmer look for your eyes. The Rock Nudes Eyeshadow Palette provides an impressive variety of 12 shades that enrich your beauty by delivering fantastic color and texture. The heavy metal colors give you the rock and roll edge. 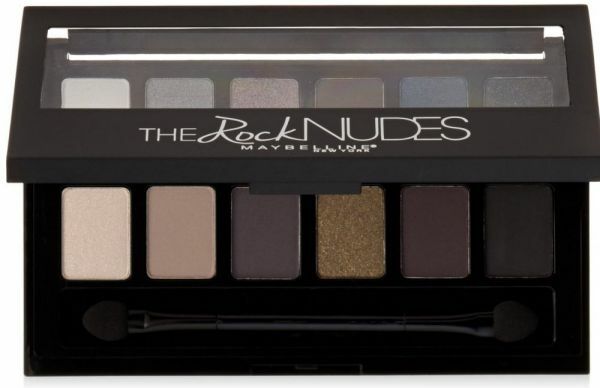 The Rock Nudes Eyeshadow Palette is extremely easy and comfortable to use. Blend the colors and apply based on your skin tone and the occasion to enrich your beautify and be noticed even in a vast crowd. The Maybelline product is good quality and the offered price is reasonable.